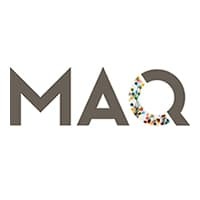 The Maq Pub presents Ocie Elliott with the Mike and Alle Band opening. 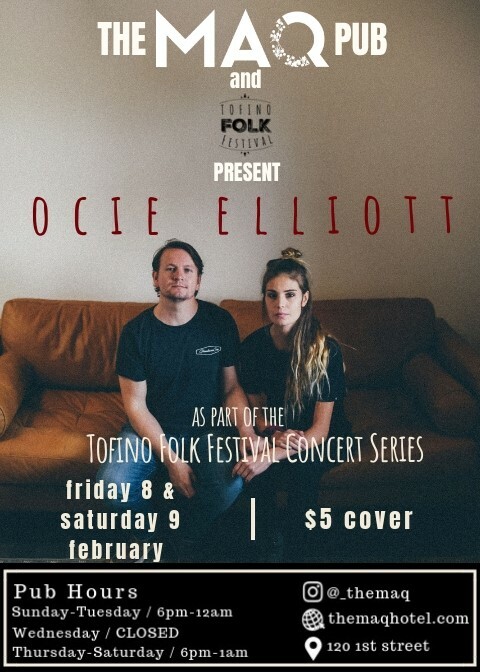 Come down to the Maq pub for two nights of OCIE ELLIOT as part of the Tofino Folk Festival Concert Series! Friday February 8th and Saturday February 9th! Ocie Elliott is musical duo Jon Middleton and Sierra Lundy from Victoria, B.C., Canada. The two met playing music at a festival on the small, wind-swept Salt Spring Island, where their love of music and the chemistry of their voices fostered an instant connection. Jon and Sierra’s voices meld beautifully in a cascade of sound, described by one reviewer as “…the aural equivalent of indigo painted skies and the first summer stars.” Their unique blend of contemporary and indie folk music is influenced by artists such as Gillian Welch, Simon & Garfunkel and Angus and Julia Stone, and born of the natural landscape of Canada’s wild west coast.